Do you and your business always treat people fairly? Do you always return calls, follow through on commitments, treat suppliers well…Is fairness at the heart of everything you do? If not, you are missing a significant point of differentiation. 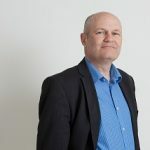 Mike Symes is Chief Executive of the multi award-winning Financial Marketing Group of Companies and Executive Director of Brand Workshop Limited. Formerly Head of Marketing and Vice President at Bank of New York Financial, Mike is a highly experienced brand strategist, speaker and marketing author, responsible for launching and developing many successful brands for over 30 years. Join us as we explore why fairness must be at the heart of your business and the key components that will give you outstanding differentiation in your marketplace. Mike Symes is Chief Executive of the multi award-winning Financial Marketing Group of Companies and Executive Director of Brand Workshop Limited. Formerly Head of Marketing and Vice President at Bank of New York Financial, Mike is a highly experienced brand strategist, speaker and marketing author, responsible for launching and developing many successful brands for over 30 years. Author of ‘Light Your Firebrand’, Mike Symes was invited to contribute to the seminal book, ‘The Brand Challenge – Adapting Branding to Sectorial Imperatives’, published by Kogan Page, which examines brands that have taken the road less travelled. Mike Symes is a Freeman of the City of London and a member of the Worshipful Company of Marketors. He is also Chairman of FIDES, the trusted independent networking and referral group for premier providers of products and services to financial organisations.